I’ve found some nice new dairy free bits and pieces in the shops this month. Some not so new but new to me. Here’s what’s out there. Have you discovered any new dairy free finds lately? Aldi have started to stock Almond Milk alongside their long life Soya milk in the fridge. It is not as nice as the in fridge version of almond milk from other brands but it is very handy to be able to get it while doing full Aldi shop. These aren’t new but it us the first time I’ve seen then in Dunnes Stores. They are with the other high protein yogurts. 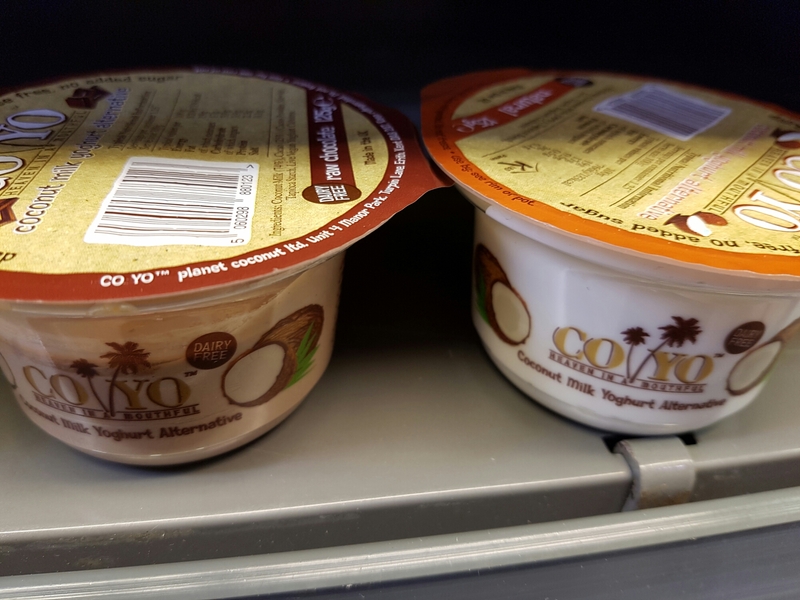 At €3 a tub they won’t be replacing the kids’ soya based yogurt alternatives but it’s great to see them easily available all the same. This is the first time I’ve come across Tesco’s own brand Free From Soya plain yogurt. It’s possibly available a while and just new to my local store. These are great for making smoothies. These can be described as a mini magnum style ice pop with Strawberry ice cream coated in chocolate. The boys were absolutely delighted with themselves to be getting an ice cream rather than the usual water based ice pops they are used to. **Not for dairy free kids! ** For those older dairy free people you may be interested to hear that Baileys gave a new product made with almond milk. They used to be black octagons, now they are a lovely white with pale blue inset. You can find in Dunnes Stores, Supervalu, some Tesco stores and health shops. Tesco Free From products have also received a makeover, and it is easier to see what each item is free from. Hi where are the strawberry ice pops available? Just found your blog and have really enjoyed readying your travelling tips. My son (age 8) is dairy allergic and we are constantly on the look out for new treat items. 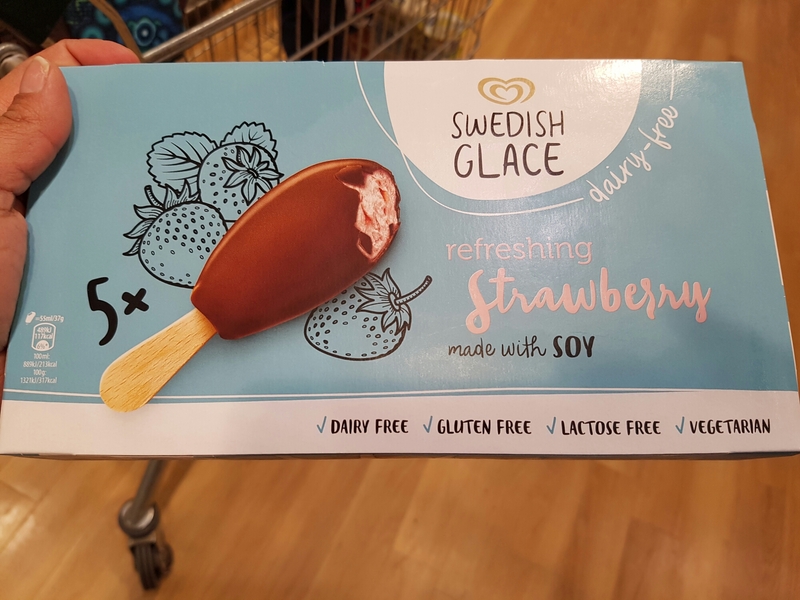 My shopping trip to my local Tesco this morning yielded FreeFrom ice cream cones (like vanilla and strawberry cornetto type) and lollies with a dairy free ice cream centre. They might not be new but I haven’t noticed them before. These will make a young lad very happy in the summer holidays.